What are gifts inter vivos? Gifts ‘inter vivos’ are simply gifts that you make from your estate during your lifetime. Any significant gift that you make will become a ‘potentially exempt transfer’ (PET) which could be subject to inheritance tax. IHT will be charged at the full 40% rate if you die within the first three years of making a gift. Gift inter vivos life insurance provides a tax-efficient way for donors to insure against the risk that they die within seven years of making their gift. How can the gifts I make be liable to IHT? If you’ve amassed a significant estate, it can make good sense to start transferring some of your assets to your chosen beneficiaries while you’re still in good health. Reducing the size of your estate in this way will help to reduce the size of any inheritance tax (IHT) bill that it attracts but any large gifts you make will count against your IHT allowance for seven years. HMRC allows an annual gift allowance of £3,000. You can also make a range of smaller gifts every year that are immediately free of IHT (learn more). If you happen to die within seven years of making a gift, the inheritance tax bill your beneficiaries receive will be dictated by just how long you happened to live after making the gift. This is because inheritance tax is charged on a tapered basis which diminishes to zero after seven years (learn more). During the seven years that follow any significant gift, the gift will count as a ‘potentially exempt transfer’ (PET). Should you pass away in the first 3 years of making a gift inheritance tax will be charged at 40%, this reduces to zero over the following 4 years. A gift can be anything that has value from cash, shares or funds to real estate, jewellery, family heirlooms or intellectual property. But if you fail to survive the requisite seven years, whoever received the gift could be faced with an IHT bill. This is because until seven years have passed, the gift – whatever it may be – will still form part of your estate for tax purposes. If you die within seven years of making a gift, your inheritance tax allowance or nil-rate band will be applied to the value of the gift before your remaining estate. If the value of the gift exceeds your nil-rate band allowance, your beneficiaries will receive an inheritance tax bill based on the excess. Because of the potential IHT liability that’s created when you give a significant gift to someone other than your spouse or civil partner, many people select to take out a special kind of life insurance policy, called a gift inter vivos policy. When life insurance policies are written in trust, their benefits don’t count as part of your estate. This means they can be paid out without attracting IHT. Gift inter vivos policies are especially appealing as they offer a sum assured that decreases in line with the inheritance tax liability on a gift as the years go by. Such policies are always written for a term of seven years as any IHT liability on a gift ceases at this point. What is a gift inter vivos? Gifts ‘inter vivos’ are gifts that you make from your estate during your lifetime as opposed to gifts made after your death which are referred to as ‘testamentary’. A gift inter vivos becomes a ‘potentially exempt transfer’ (PET), PETs are liable to inheritance tax (IHT) if you fail to live seven years or more after transferring the gift, the level of inheritance tax you would be liable for tapers down over the seven year period. How does taper relief on inheritance tax work? Because HMRC offers what’s known as ‘taper relief’ against the inheritance tax (IHT) liability on any gifts you might make (see the table below), the sum assured offered by a gift inter vivos policy will decrease in line with the actual IHT liability it’s intended to protect against. This means that an inter vivos policy will offer 100% cover for the first three years of its seven-year term. The sum assured then reduces in line with the outstanding IHT liability. This makes them very cost effective as it means that the insured only ever pay for the level of benefit they need to cover their declining liability. How do gift inter vivos policies work? In order to offer a decreasing sum assured, gift inter vivos policies are often structured as a group of five policies. The individual contracts in such policies expire at the three, four, five and six-year milestones until the last policy expires at the end of seven years. The premiums for such ‘grouped’ inter vivos policies will usually fall as each individual policy expires. Fortunately all this grouping of policies takes place behind the scenes. Gift inter vivos life insurance policies are structured so the level of cover will align with the potential inheritance tax liability over the 7 year period. Grouped policies have a particular advantage for those who may not have insured their potential inheritance tax liability when they first made their gift. For example, if they take out cover two years after making a gift they’ll only need a policy that provides five years of cover. Who can pay the premiums? Whether it’s a single decreasing-term policy, or a group of overlapping policies, the premiums can be paid by either the gift donor or the beneficiaries. If the donor pays, the premiums themselves should escape inheritance tax liability. Meanwhile, the beneficiaries have good reason to consider paying the premiums as it’s they who will ultimately be faced with an IHT bill if the donor fails to live the full seven years after making their gift. What’s the difference between whole of life insurance and decreasing-term policies? There are numerous ways to sensibly manage the size of your estate for inheritance tax purposes. These can include trust planning and scheduled programmes of giving. For larger estates or those estates that can’t be easily reduced by gifts inter vivos, it can make sense to insure your estate against any future liability. By writing any life policies in trust they won’t form part of your estate on death so the proceeds will be paid out free of any inheritance tax (IHT). This sum can then be used to pay any other IHT liabilities that might arise on your estate within the required six months. As the name suggests, whole of life policies provide a sum assured that’s paid on your death whenever that might be. Not surprisingly, the premiums for whole of life cover are likely to be quite high – especially when it comes to securing larger sums assured for older people who may already be well into their retirement years. Even so, because you can choose to write such life insurance policies into trust, the proceeds can be paid out without attracting inheritance tax. This means that life insurance still represents one of the most tax-efficient ways in which to generate sufficient capital to protect treasured family assets from having to be sold in order to pay the inheritance tax bill their transfer has created. With proper planning, the premiums from such policies will also be free of any inheritance tax and will also help to reduce the size of the estate in question. A ‘term’ policy that limits an insurer’s potential liability to a set number of years will naturally be far cheaper than a whole of life policy that’s structured to pay out when you eventually pass away at some point in the future. By offering decreasing-term benefits, inter vivos policies are able to reduce the cost of cover still further. This makes them the ideal way to insure against the inheritance tax liability on any significant gifts you might choose to make during your lifetime. It is important to remember that in the case of a gift or a ‘potentially exempt transfer’ (PET), it’s the beneficiaries of the gift that will be presented with an inheritance tax bill once you die. How would they manage if they faced such a bill? By contrast, in the case of assets that form part of your estate, the inheritance tax liability attaches to the estate itself – although the beneficiaries will be unable to access the assets in the estate until the executors have paid the inheritance tax bill. What are the rules for IHT-exempt gifts? Each year HMRC allows you to give a range of small gifts that are immediately exempt from inheritance tax (see below). Under the inheritance tax regime, you currently have an annual gift allowance of £3,000. You can also make as many small gifts (under £250) a year as you might like. You’ll need to keep a careful record of any such gifts you make. And you’ll need to make sure that you don’t use your annual exemption and your small gift exemption on the same person in the same year. You can carry over your entire £3,000 annual gift allowance from the last tax year to this one, but you can only do this once you’ve used up all of your allowance for this tax year. This prevents these IHT allowances from being accumulated and then used up in one large gift. There is no IHT liability between husband and wife or civil partners. You can literally give as much as you like, when you like, to your partner. In 2013, the law was amended to extend this right to spouses who are non-UK domiciled. However, keep in mind that any assets you pass to them will ultimately count against their nil-rate band allowance when the time comes. The annual exemption allows anyone to gift up to £3,000 in each tax year (6 April to 5 April) to whoever they chose. Such gifts aren’t added to the value of your estate. Once you’ve used your annual limit, any unused allowance from the previous tax year can also be put to use. There’s no limit to the number of gifts valued at £250 or less that you can make in any tax year. You can give such gifts to as many people as you want – but not to someone who’s already received your entire £3,000 annual exemption. The IHT liability on wedding gifts depends on your relationship to the recipient. Gifts to your children or step children: Carry no IHT liability up to a limit of £5,000. 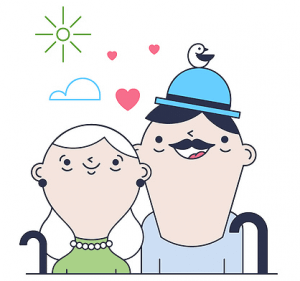 Gifts to your grandchildren & great grandchildren: Carry no IHT liability up to a limit of £2,500. Gifts to other relatives or friends: Carry no IHT liability up to a limit of £1,000. Any gifts made to help pay the living costs of a former spouse, an elderly dependent or a child under 18 or still in full-time education are free from IHT liability. The rules here are surprisingly complex but in essence, so long as you have sufficient income to maintain your standard of living whatever’s left can be used to make IHT-free gifts. The main consideration is that such gifts must be regular if they are to escape IHT and that you keep accurate records of all such giving. However, clever planning can mean that this exemption can be used to cover anything from birthday and Christmas presents to regular savings plan contributions, insurance premiums or even your children’s rent. Gifts to registered charities, museums, universities or community amateur sports clubs are all exempt from IHT. If you choose to gift more than 10% of your taxable estate to charity in your Will, the rate of IHT on the remaining estate will be reduced to 36%. You can give an inheritance tax-free gift to a political party under certain conditions. The rules surrounding gifts and potentially exempt transfers (PETs) are quite strict. Remember: no matter how long you might live after making a gift, it will NEVER count as a PET that’s free of inheritance tax if you’ve made the mistake of retaining an interest in the asset itself. A good example is what frequently happens when parents decide to gift the family home to their children but remain in residence. Because the parents have ‘reserved a benefit’ it can never qualify as a PET. When the parents eventually die, the full value of the property – including any price appreciation in the years since they made the transfer – will count as part of their estate and so be liable to IHT. What are the main exemptions from IHT? There are a number of exemptions to inheritance tax (IHT) that can be utilised as part of an ongoing programme of IHT management. Spouses and civil partners – there’s no IHT liability on gifts between spouses and civil partners (but there may be IHT to pay on assets that are passed between partners that aren’t married). Annual gifts – HMRC allows for a broad range of gifts to be made each year that won’t attract any IHT liability. Every UK resident also has a £3,000 pa annual gift allowance that can be rolled over to the following year if not used. For a full breakdown of the annual gift allowances for IHT purposes, click here. IHT-exempt assets – there is a range of IHT-exempt assets including agricultural property, woodlands and heritage assets. Thanks to business property relief (BPR) certain types of company shareholding including numerous AIM-listed stocks are also exempt from inheritance tax. Britons who are domiciled abroad – are no longer liable to IHT on their entire estate although they will still face the tax on their remaining UK assets such as British properties or bank accounts. You’ll count as UK-domiciled if you’ve lived in the UK for 17 years or more out of the last 20 or if you chose to make a permanent home in the UK at any point in the last three years of your life. How do gifts inter vivos work? Could equity release help to reduce my IHT bill down the line? Is there a way to avoid paying IHT on our family home? We have no children. Can we still make use of the new main residence allowance?